What Would Jesus Do? Inc. (WWJD?) is a 100% volunteer, non-denominational, non-profit organization assisting homeless and working poor in Placer County. If you desire to contribute to a worthy non-profit organization whose resources go directly to those in need…WWJD? is it! No one on the WWJD? staff receives any financial compensation. Everyone on the WWJD? staff volunteers their time and resources and in return receive the assurance that we are spreading the love of Jesus. 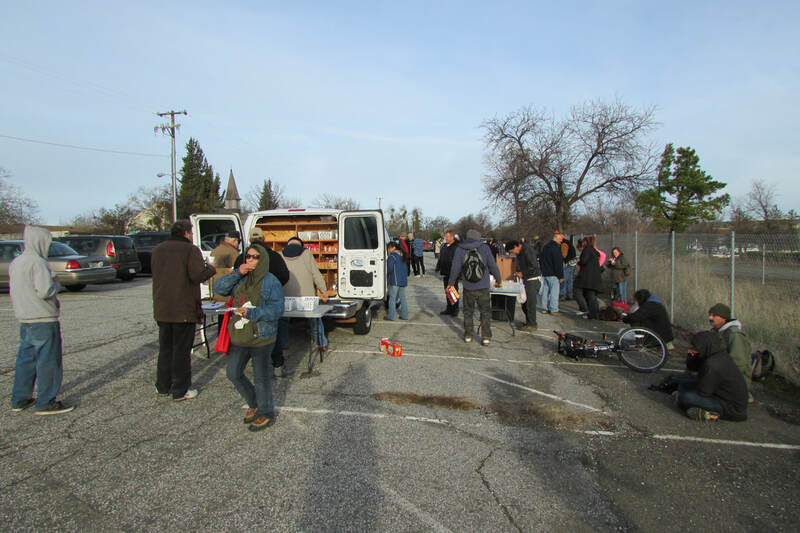 We have been in operation for over 20 years, feeding an average of 30,000 people each year in South Placer County. Initially in Roseville, we have now expanded into Central Placer County and are providing the same service in the Sierra foothills communities of Auburn and Colfax, CA. 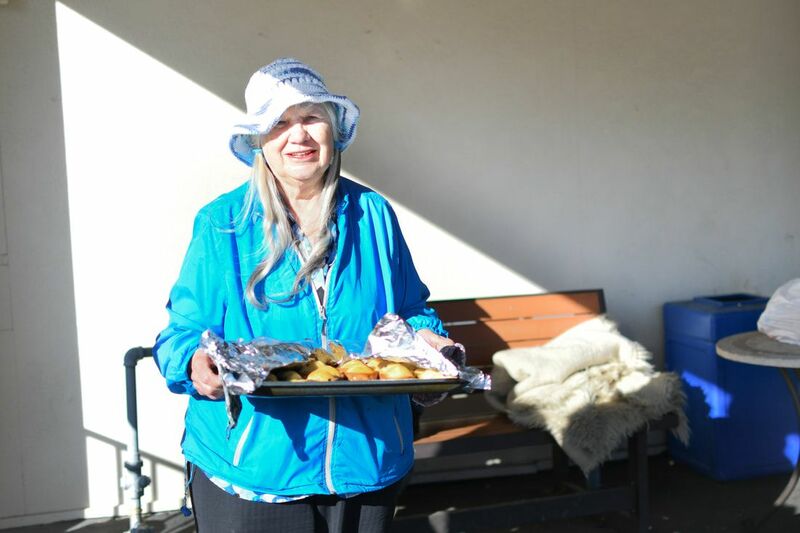 From a mobile van in each community at conveniently located sites, we serve our clients a warm breakfast and provide a bag full of food for their dinner. We provide clothing, blankets, tarps, sleeping bags, toiletries, laundry soap, pet food, and other sundries for our clients. HOWEVER JUST AS IMPORTANT WE TRY TO PROVIDE FRIENDSHIP AND A SENSE THAT THEY ARE WELCOMED AND LOVED! We believe the homeless and others in need deserve an opportunity to advance their way back into the mainstream of society. Even if some of the needy we serve fail to achieve this goal, we believe trying is important, and some minimum support should be extended to those unable to achieve self-support. We welcome you to become a part of WWJD? You may volunteer for our mission, join our Board of Directors or Donate to help the homeless.